Home / Parking Matters Blog / Will They Stay or Will They Scoot? Will They Stay or Will They Scoot? I saw my first shared electric scooter in Santa Monica about a year ago. Since then, the scooters seem to be popping up in cities all over the country. They’re getting mixed reviews from the public. Most people I spoke to who’ve ridden say the scooters are fun and they would use them again. Others say they’re a safety issue and won’t last. The scooters don’t come with helmets, they don’t have turn signals, and they can’t be driven on the sidewalk, which means they need to share the road with automobiles. Most of the time there’s not a dedicated location to store the scooters. Public officials are clamoring to get regulations put in place for this mode of transportation, which is like no other mode to date. 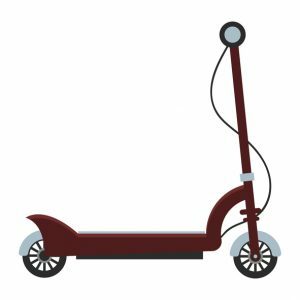 A major city recently impounded more than 300 unpermitted scooters. The city used the scooter company’s app to locate the scooters–a brilliant use of the technology! Some cites have banned scooters altogether. Scooter companies are relying on public popularity to push municipalities into allowing them to be a part of their streets. Generally, transportation officials across the country are welcoming the scooter craze in hopes it will ease congestion and add one more way to get around city streets, but the officials need to be the ones writing the rules. A few of the areas being looked at are not blocking right of ways, allowable sidewalk mobility, and the use of wheelchair-accessible ramps. I’m looking forward to seeing if scooters will ease congestion or if they’ll cause more chaos on city streets. Nathan Donnell is vice president of business development with Premium Parking.